Now in it's 8th Year! We are very excited to host the 8th Annual CommUNITY Pride Parade during Reno Artown! The Pride Parade dates back over 50 years and is pivotal to the acceptance of the LGBT Community. Come show your pride! 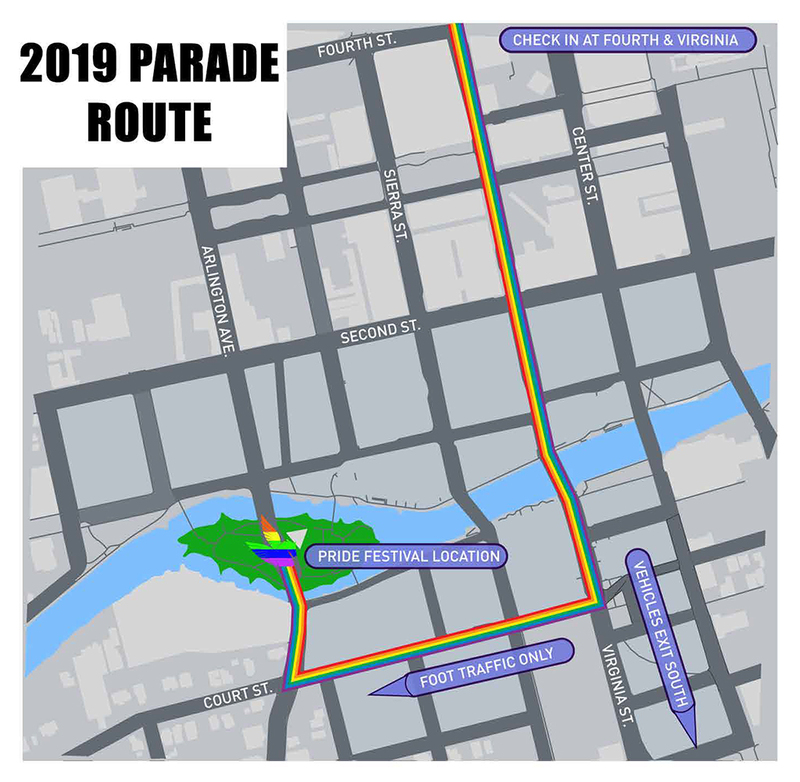 Location: The parade will travel down Virginia St starting on the corner of Fourth and Virginia and ending at the Festival.